Angeline advises on matters relating to real estate, property, wills and succession. Her experience in legal practice covers a variety of areas spanning sale and purchase of property, probate and administration, as well as management and leasing of commercial, industrial and residential properties in Malaysia. She has also advised property developers in various aspects of their projects and developments. In addition, she advises on banking matters for conventional and corporate loans, including government loans and Islamic financing. 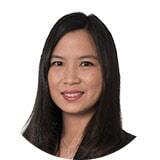 Angeline commenced legal practice in 2006. Prior to joining the firm as an Associate in 2009, she worked as a Legal Assistant with a well-known medium-sized firm in Penang. During her early years of practice, she was actively involved with the Bar Council’s National Young Lawyers Committee and has had several articles published on the Malaysian Bar’s website. Angeline was also the Honorary Secretary of the Penang Bar for the term 2008-2009.